Metaphors matter. We reduce complex ideas into little, packaged parables for ease of communication. But this gift isn’t free. Metaphors ignore details and carry unintended meanings. Be thoughtful with them and update them as needed. They’re increasingly dangerous as they stagnate. The idea of a ‘walled garden’ glosses over users’ gradual behaviors and encourages binary thinking. 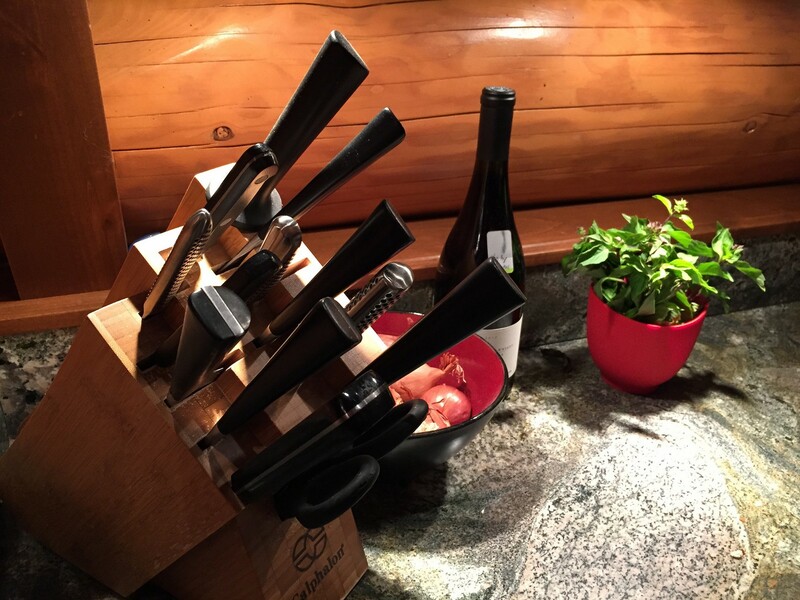 Start thinking of knife blocks instead. During the first internet era, the web was sold to users in self contained packages. Prodigy, AOL, and others were delivered as kits containing everything a new browser would foreseeably need: email, stocks, news, weather, and chats. The web was new and confusing, so these kits were appealing. They smoothed the learning curve by obscuring it entirely. 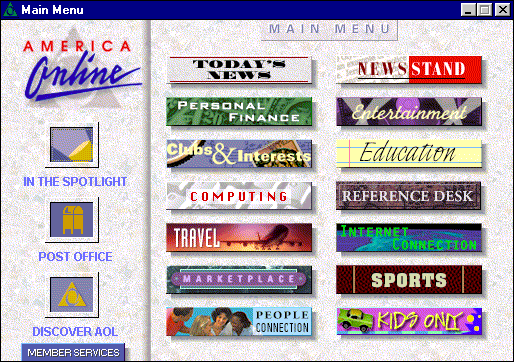 As we grew accustomed to the internet, we outgrew AOL and Prodigy. We ventured to Hotmail or Gmail because they had more features and storage. We learned how to search with text because Google granted access to more of the web than point-and-click category buttons. We choose new screennames on Skype because it let us talk to people, not simply text. As we became acclimatized internet users, we picked the services which best fit our needs. The internet starter kits we began with became obsolete. Throughout my life I’ve had many starter kits. I’ve had ones for baseball cards, comic books, photography, knives, cookware, fishing, home brewing, golf, and more. Like AOL and Prodigy, these kits attempted to ease the learning curves for complex fields by providing me with everything I’d need to get started, instructions included. The job of a starter kit is to ease the introductory stages of an activity. A well designed starter kit allows you to receive satisfaction from a complex activity relatively quickly, which encourages you to spend more time in the field. As you develop, your interest alone begins to drive your investment and the starter kit becomes limiting. New pieces are acquired and swapped into your kit. The starter kit is a good model for approaching technology platforms, which require users to develop new behaviors. It’s no surprise that the platform winners introduce themselves as self-contained packages designed to quickly reward without much user investment. Since AOL and Prodigy, we’ve encountered other sucessful digital starter kits. iTunes was a starter kit for digital media: The iPod, app, and store made digital music approachable and brought us nearly entirely away from record stores and physical media. Facebook is a starter kit for social networking: Facebook offers all the tools you’ll need to stay connected with your friends online in a single place. Photos, messages, posts, and calendars are all contained within. iTunes and Facebook acted as starter kits, eased learning curves, and successfully taught us new behaviors. They took promising but complex fields and packaged them in an approachable way. But with this success they created a new problem: users outgrowing the components of their kits. iTunes created and ignored this problem. Its users became digital music natives and started to share songs and playlists on Muxtape and Turntable. They began creating and self-publishing on Soundcloud and YouTube. They started exploring and streaming with on Rdio and Spotify. Apple responded slowly and badly with Ping, Match, and Music. Each was too little, too late. iTunes was the starter kit that trained a generation, but didn’t grow up with its users. Facebook hasn’t made the same mistakes. 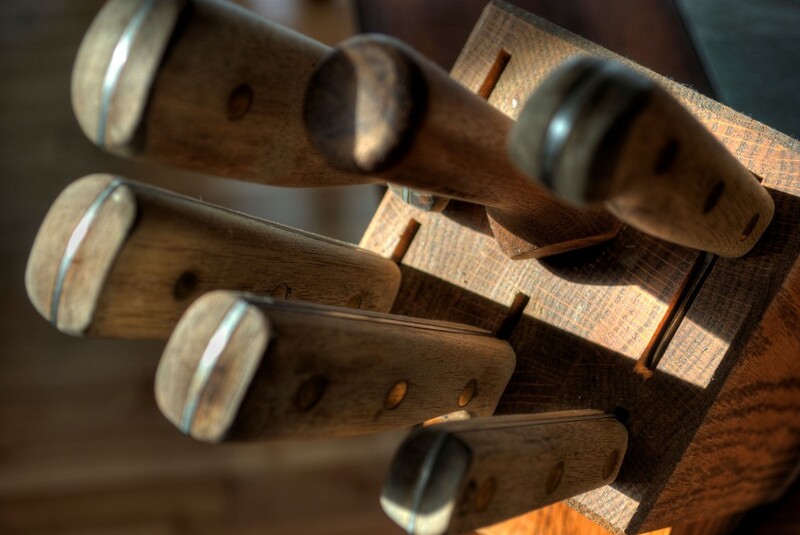 As users grew savvy with social they graduated to more specific, focused tools — just as those with knife sets might swap out a cheap chef’s knife for something with more balance and heft. Users embraced specialized networks focused on subcultures; networks better suited to emerging media (like Instagram or FourSquare); lightweight chat apps; and apps whose initial use cases don’t align with Facebook’s business requirements (Snapchat). Unlike Apple, Facebook has embraced the developments of users. To meet user’s maturing tastes, They buy specialized tools (Instagram, WhatsApp) and experiment with building their own (Messanger, Rooms). They’ve evolved with their users, not only protecting their network but growing it as well. I prefer to think of them as starter kits, for a few reasons. First off, thinking of platforms as ‘walled gardens’ presents user behavior as binary. People are in your garden or they’re not. The examples above illustrate that this is not the case. Starter kits are successful when they provide an easy terrain for learning new behaviors. As users mature they begin to swap out pieces of their starter kits to match their more advanced tastes. If users leave a platform they leave gradually, not all at once. Second, beliving users to be binary encourages defensive tactics. If a user is simply in or out, blocking an exit is equal to attempting to build new offerings. And guess which one is cheaper? So APIs are cut off, file formats are protected, clauses are inserted into developer agreements, and prohibitive fees are enacted. Worse experiences are delivered, creating a context ripe for eventual disruption in exchange for short-term goals. If you’re aiming to creating wholly new behaviors, create a kit to smooth the learning curve. Be Facebook, not Twitter. Twitter is akin to teaching someone photography with film, a manual camera, and a prime (non-zoom) lens. Some might argue you’ll become a better photographer this way, but the limitations will drive away most everyone who tries. Grow with your users by providing them with tools to match their maturing tastes. Rather than attempt defensive vender lock-in tactics, build new advanced solutions. While you innovate, keep the starter kit intact and occasionally updated, onboarding new users. Challenge existing platforms by addressing maturing users with advanced tools, which platforms will not (or better, cannot) deliver. Instagram created a place more suited to the great cameras and screens of mobile when Facebook was mostly a website for desktops and keyboards. Spotify built infrastructure for music streaming when Apple couldn’t provide a network service to save its life.